If you are planning to become a billionaire during your working career, is it more advantageous to start out in an already successful family business or to build your own from scratch, without any corporate baggage to hold you back? Should you get a university degree, or just get stuck in? What is the best subject to study? Based on the experiences of the billionaires we consider in this issue, there are no hard and fast rules. Each of the four, ranging in age from 53 to 83, has carved his own unique path to financial success, and each is now highly respected as a shrewd and successful business leader in his field. Perhaps Michael Otto, Chairman of German retail conglomerate, the Otto Group, has the most conventional educational background. After leaving secondary education, he spent some time as a trainee in a local bank before studying economics. He eventually earned a PhD, and then started his own business in real estate and finance broking. By the time he joined the family business in 1971, he was 28 years of age, with solid experience to draw on. On graduation he joined the local steel industry and rose quickly through the ranks to become section manager and shop manager, but he continued with his studies. His postgraduate degrees include an MSc in 1989, a PhD in Engineering and a DSc in Economics. Now ranked as Russia’s richest oligarch, Lisin owns controlling interest in Novolipetsk Steel as well as many other businesses. Engineering also formed the basis of our third billionaire’s studies, again, perhaps, for very practical reasons. Bernard Arnault’s father had started a business in construction and property. Born in Roubaix, northern France in 1949, the young Bernard was an accomplished pianist, but when it came time to choose a career he decided that he was not sufficiently talented to succeed as a concert pianist. Instead, he was admitted to the École Polytechnique from which he graduated with an engineering degree in 1971. After graduation, he joined his father’s business, which he proceeded to transform into one of the first holiday accommodation businesses in Europe. He went on to build his fortune in the luxury goods company, LVMH. The oldest of our four billionaires, Ingvar Kamprad, had no family business to enter. His father was a farmer in the province of Småland, Sweden, and Ingvar’s school was the school of life. Born in 1926, he demonstrated retail flair from a very early age, buying matches in bulk and bicycling around to his neighbours where he would sell them in smaller quantities at a profit. From matches he expanded into selling fish, Christmas tree decorations, seeds, ballpoint pens and pencils. When Kamprad was 17, his father gave him a cash reward for successfully completing his studies at secondary school. He used this money to expand his business, which has grown into the world’s favourite flat-pack household furnishing chain known as IKEA. Ranked eleventh in the Forbes billionaires list, he never went to university. Although Arnault and Lisin built the core of their business empires through the acquisition of existing companies, there is a strong element of innovative thinking in the careers of all four of our billionaires. For Kamprad and IKEA, innovation has become the lifeblood of an ever-expanding global retail phenomenon. In the early years, Kamprad continued to add a variety of goods, such as wallets, watches, jewellery and stockings to the list of what he pedalled round to his neighbours. When the business expanded to the point where he could no longer call on his customers individually, he developed a sort of makeshift mail order operation, hiring the local milk van to make his deliveries. The immediate success of the furniture he introduced to his line in 1947 convinced him to discontinue all other products, and by 1951 he focussed entirely on selling locally produced furniture. In 1953 he opened one of the first furniture showrooms where customers could see, feel and examine the quality of products before committing to buy them, but it was an accidental innovation in 1956 that created IKEA’s sustainable USP. A young draughtsman working for Kamprad could not fit his newly designed table into a colleague’s car for transport, so he did the only logical thing – he took the legs off and stowed them under the table. Flatpack was born. This single innovation enabled the company to cut manufacturing and distribution costs, making designer furniture affordable to the growing middle classes. It subsequently enabled the company to pursue a high visibility environmental platform which appeals to the sensitivities of its customers and secures their almost cult-like loyalty. Today, with Kamprad still firmly at its spiritual head, the company continues to follow his commitment to innovation in both design and marketing. It took some innovative thinking for Bernard Arnault to radically shift the basis on which his family business was built. Five years after joining, the younger Arnault convinced his father to liquidate the main construction division and focus instead on developing holiday accommodation. He ported this business to the United States during the period of strongly socialistic government in France in the early 1980s, although his track record with investors was not particularly successful. On his return to France, he joined a luxury goods company and began to build his empire. In Germany, Michael Otto’s father, Werner, started his Hamburg-based mail order business selling shoes in 1949. Three hundred copies of his first hand-bound catalogue featuring 28 shoe styles were published in 1950. By the time Michael joined the business in 1971, the company had exceeded one billion German Marks in turnover and was looking to expand internationally. His own exposure to the Club of Rome, and the influential 1972 book, “Limits to Growth”, persuaded Michael to embrace environmental sustainability wherever possible in the business, which has secured the loyalty of a strong customer base. He also had the foresight to recognise in the early 1980s how the power of the internet could be harnessed for a mail-order business. Today, the Otto Group is the second largest web-based retailer in the world, behind Amazon.com. In contrast, Bernard Arnault is often photographed hob-nobbing with politicians and members of France’s social elite. He was a witness at one of Nicolas Sarkozy’s weddings and named in an allegation against British Prime Minister Tony Blair of accepting gifts (on behalf of his daughter) worth as much as £80,000. Many would say that working in the luxury goods industry requires a certain amount of visibility, but Arnault has not been shy of courting criticism for his business dealings either. In what has been described as a brutal rise to power, Arnault arranged favourable financing to purchase a foundering textile business that the French government did not want to see go under. However, once the deal was signed, Arnault disposed of all the poorly performing assets, retaining Dior couture and the cash injection he needed to buy into LVMH (Louis Vuitton Moet Hennessey). His 24 percent share gave him control of that business and he promptly set about ousting existing management in a series of courtroom battles and boardroom coups, earning himself the title of “French Donald Trump” from one of the executives who lost his job in the fracas. Despite his reputation for an overly controlling management style, Arnault is widely respected in the fashion industry as someone who understands the creative impulse and can both nurture and manage it. His Achilles heel, if there is one, may be his emotions. Thwarted in his bid to add Gucci to his growing list of luxury product labels, Arnault developed a vendetta-like dislike for Francois Pinault, owner of winning bidder PPR and a former friend. The two did not speak for over ten years, during which Arnault embarked on an uncharacteristically ill-advised foray into the auction business, perhaps to counter PPR’s holding in Christies. Having snapped up third place Phillips in 1999 he poured millions into an attempt to make it a direct competitor to market leader Christies, only to be forced to sell his interest four years later when massive losses drew sharp criticism from analysts. Emotion plays a role in Ingvar Kamprad’s style also. Preferring to be seen as a man of the people, living the frugal life that he expects from his 100,000 strong team. (“I believe in the power of positive role models, of setting a good example: If Ingvar can do it, everybody else can do it as well.”) He has been reduced to public tears on at least two occasions. The first was when his teenage links with the Nazi movement were uncovered in 1984. He wept openly as he confessed to his employees, calling that episode “the greatest mistake in his life”. More recently, Kamprad claims he wept when he learned that two of his trusted executives had been found offering bribes relating to power supply to IKEA-owned shopping centres in St. Petersburg, Russia. But life and human nature have never been simple, and many question Kamprad’s public commitment to frugality, integrity and his native Sweden. A tax exile in Switzerland since 1976, he reportedly splits his time between an 18th century Swedish mansion, an upscale Swiss villa, and a vineyard in Provence, and he has been seen driving a Porsche in addition to the more widely hyped 15 year old Volvo. The web of foreign registered holding structures hiding the ownership of IKEA, which is still tightly controlled by the Kamprad family, has been criticised in The Economist and by the Berne Declaration for its alleged tax avoidance purposes. Forbes estimates this frugal man’s personal fortune at around $23bn, placing him at number 11 in the Rich List. Like Lisin, Michael Otto has always been a very private man. “As head of the group,” according to the Otto Group website, “Dr. 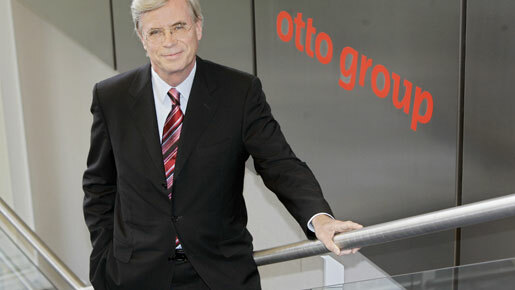 Otto cultivates a cooperative style of management and aims to delegate as much responsibility as possible to every staff member.” His lifelong commitment to the environment saw the business using recycled materials as early as 1974, and lead the way in the use of biological and sustainable raw materials. Dr. Otto, who has received many awards for his environmental work, refuses to take his company public because he worries that the market encourages short-sighted management practices. His long-term outlook, though, has enabled him to build his personal fortune to an estimated $18.7bn, earning him a 21 position in the Forbes list. Although he retired as head of the Otto Group in 2007, Dr. Otto continues to work for the community around him. Among his many roles, he is Chairman of the Board of Trustees of the Society for Politics and Industry (Rissen House), Hamburg; Chairman of the Council of the Environmental Foundation WWF Deutschland; Founder and Chairman of the Board of Trustees of the Michael Otto Foundation for Environmental Protection, and Chairman of the Board of Trustees of the Werner Otto Foundation for Medical Research. A keen collector of avant-garde art, he is initiator and Chairman of the Group of Friends of the College of Fine Arts in Hamburg. In his spare time, he often can be found on the volleyball court. Another art lover, Bernard Arnault, has an eclectic personal collection that demonstrates his growing taste and knowledge of contemporary art, according to architect Frank Gehry, whom Arnault commissioned to design the Louis Vuitton foundation for contemporary art due to open in Paris this year. He still enjoys playing the piano and relaxing at home with his sons and concert pianist wife, Helene Mercier. At 83 and retired from IKEA in 1986, Ingvar Kamprad ought to have a lot of spare time, but by all accounts he is still very actively involved as the company’s senior advisor. He recently told an interviewer from Carpatair Magazine, “I am most afraid of satisfaction. Success easily breeds satisfaction, and the next thing that happens is that you fall asleep and let competition take over.” His credo of creating “a better life for many” is enshrined in his almost evangelical 1976 tract, A Furniture Dealer’s Testament, which is given to all employees the day they start. Some observers have questioned whether the near messianic zeal with which staff around the world follow his vision will outlive the man himself.